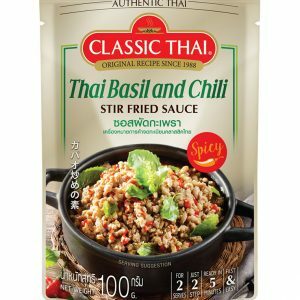 Pad Kee Mao Spaghetti Sauce - บริษัท ซิตี้ฟูด จำกัด CITY FOOD CO.,LTD. 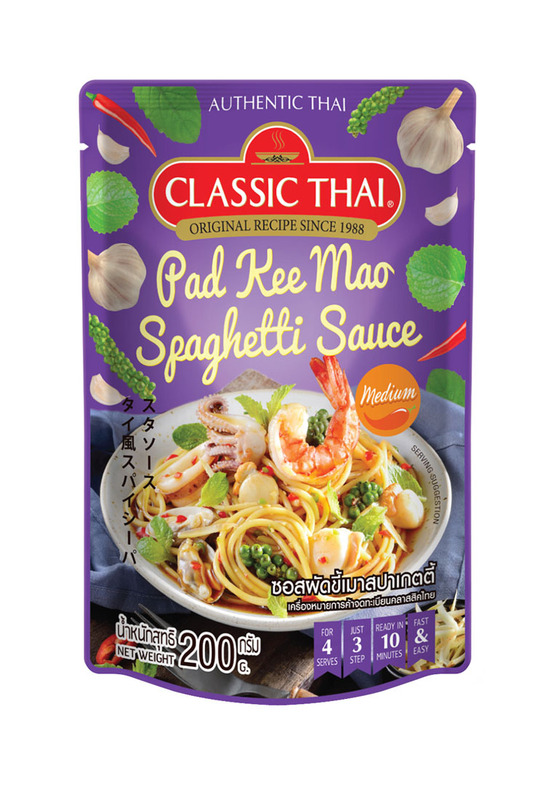 Spaghetti Pad Kee Mao Sauce “Classic Thai” Stir Fried Mixed is a perfect blend of Thai and Western cuisine, accompanied by spaghetti with stir fried sauces. 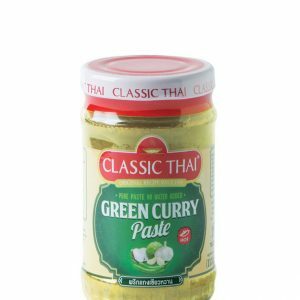 The aroma of Thai herbs Spicy taste. 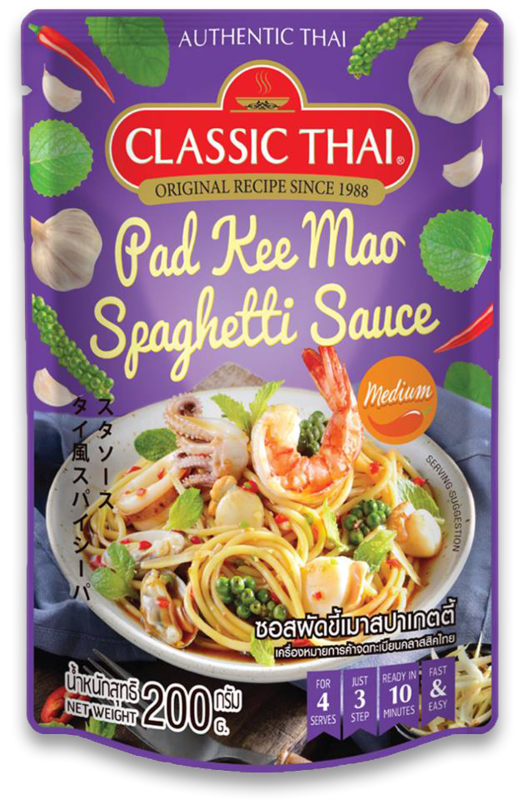 Pad Kee Mao spaghetti Sauce 1 pice/200g. 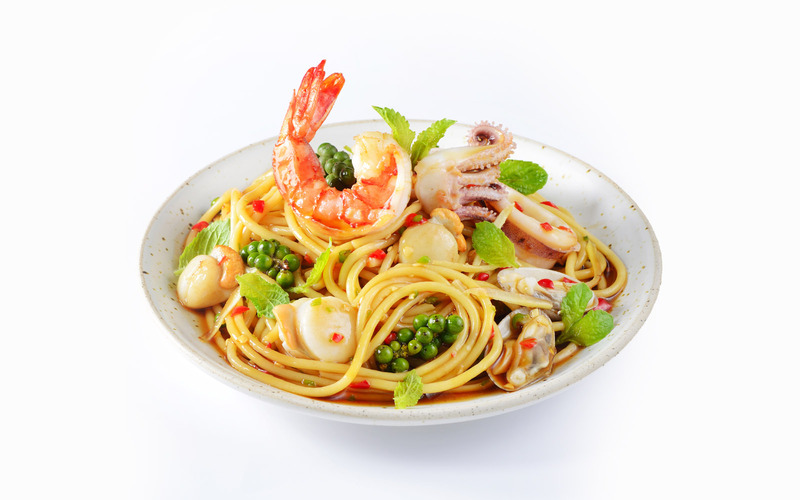 Prepare Spaghetti ,Boil water, add salt and put spaghetti in boiling water for 5 minutes or until soft. Then take the cold water and stay to drain. Set the pan with medium heat. Shake and Pour Spaghetti Sauce Spaghetti . Add the desired meat and stir until the meat is cooked. 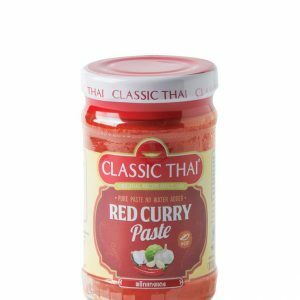 Add the spaghetti to the pan and stir fry to combine.